In many ways, Wes Anderson is the perfect director to adapt a Roald Dahl children’s novel. But, Anderson also makes room for his recurring film motifs: The comic mix of poignancy and dry humor; the use malapropism and eggcorns; the inclusion of folk and rock music; even the onscreen titles are printed using Futura Bold font. For the voices of the animal characters, the director casts several of his oft-used actors, including Bill Murray, Owen Wilson, Willem Dafoe, and Jason Schwartzman. Moreover, Anderson scrubs the class-conflict subtext in Dahl’s 1970 original text and, in its place, turns the parable into another tale of personal destiny and family dysfunction, a la The Royal Tenenbaums, The Life Aquatic with Steve Zissou, and The Darjeeling Limited. Ultimately, the suitability of Anderson is that he is, in many ways, the modern-day, cinematic counterpart to the eccentric Dahl. If anything, the animated backdrop affords Anderson more freedom for his trademark quirkiness than live-action settings. Voicing the titular vulpine paterfamilias, George Clooney sounds like the sort of sly fox who could routinely talk himself and friends into and out of trouble. After swearing off a life of crime for a career as a newspaper journalist, Mr. Fox moves his wife Felicity (Meryl Streep) and son Ash (Schwartman) out of a hole and into a hardwood tree that happens to overlook Boggis’ chicken farm, Bunce’s duck and goose warehouse, and Bean’s (Michael Gambon) apple cider cellar. Mr. Fox and his opossum super, Kylie (Wallace Wolodarsky), launch clandestine, nocturnal raids that prompt the farmers’ escalating efforts to kill him. Felicity suffers her husband’s instinctual, dangerous schemes, while Ash struggles to win his father’s affections over his athletic, popular cousin, Kristofferson (Eric Anderson). The lessons to be learned include embracing and being true to one’s self – it is worth noting that the woodland creatures here talk, dress, and act like urban sophisticates except when performing basic functions like eating or arguing, when they assume their natural growling, scarfing traits. That said, the joys of Fantastic Mr. Fox are far simpler. Juxtaposed nicely with rudimentary stop-motion animation, the dialogue is at once cerebral and sassy. Unlike in some of their previous efforts, Anderson and co-writer Noah Baumbach never venture into pretentiousness; if anything, the closing battle royalé and coda are overly trite and tidy. The truth is that Anderson’s films usually connote a depth they do not actually possess. 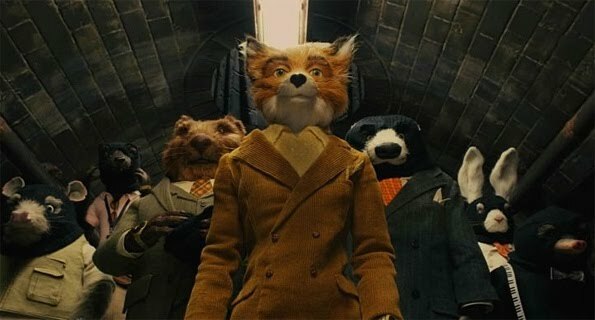 What’s fantastic about Mr. Fox is that any deeper meaning is only icing on the cake. For once, Wes Anderson just wants you to have a good time.